Say bye-bye to open pores and hello to a flawless complexion with benefit The Porefessional – a silky lightweight primer for translucent pore coverage and smoother-than-smooth skin. 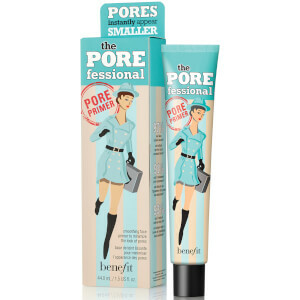 Quickly minimise the appearance of pores and get a picture-perfect complexion with Benefit The Porefessional. Complementing all skin tones and suitable for use under or over make-up, this oil-free primer will smoothen any open pores and unify the skin to make it look radiant and absolutely flawless. Pores...now you see 'em, now you don't! 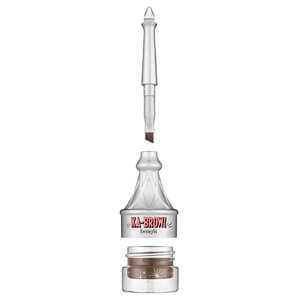 Apply a thin layer of this PRO balm to clean, lightly moisturised skin. Pat lightly from the centre of the face outward with fingertips. Apply makeup as usual. 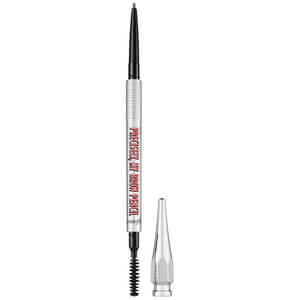 Reapply whenever pores come out of hiding. Pat delicately on T-zone over makeup and blend. Who hasn't heard of Porefessional? I had to give it a go as it's a cit of a cult product, and I'm genuinely really impressed with it. It left skin super smooth, making it the perfect primer - I've used some before that leave skin tacky, which isn't great in my opinion. It has a velvety texture too, which applies really well just with your fingers. Not got a 5 as I found it potentially a little drying on my skin, but it's got to be really good to get 5/5!